Great for wedding ceremonies and for creating atmosphere during the pre-dinner drinks or at receptions and events. 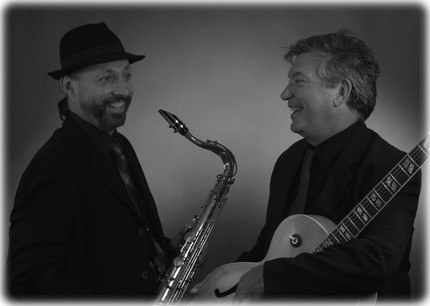 Featuring Steve Brien and Steve Arié, the 2 Steves have had enormous experience playing in all kinds of situations. From the concert stage and all manner of grand events to the private backyard party, they enjoy and approach each and every gig with vigour and professionalism. A huge selection of jazz, Latin and blues. “Thanks very much for last night, you are both marvellous musicians. I have already forwarded your details to several of our friends as everyone was very impressed at the quality of your performance. Happy New Year. We really appreciate you both making our small party very special. Best wishes” – Tess & Bill, private party, New years Eve, 2008. For those that prefer the piano or the organ over the guitar, this duo is ideal. 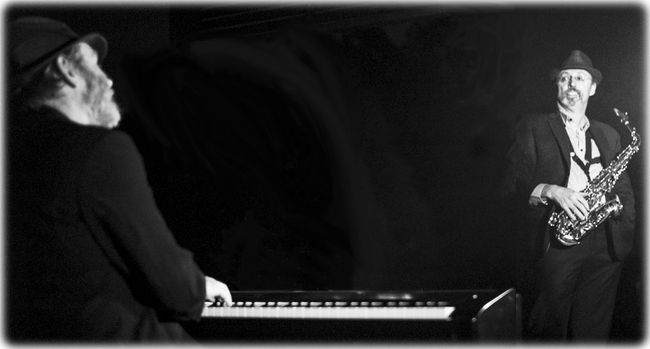 They play a huge mixture of jazz and Latin standards in a style all their own. Well known and not so familiar standards from artists including Frank Sinatra, Chet Baker, Louis Armstrong, Antonio Carlos Jobim, Michael Buble, Harry Connick Jnr, etc. For those looking for something a bit different this duo is ideal. 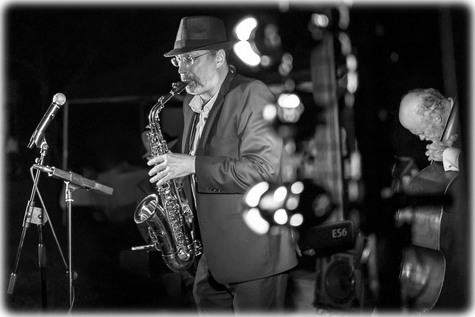 This jazz duo play a huge selection of jazz and Latin favourites and will help create a festive atmosphere at your next event.